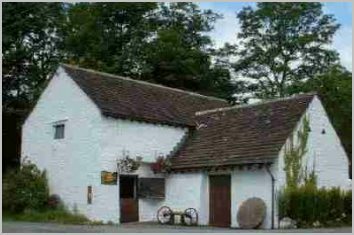 On the weekend of 13th 14th 15th April 2012, the Blackwood & District Amateur Radio Society, formerly the Blackwood Transmitters Club; founded 1927, operated a special event station GB100GGM from the Gelligroes Mill at Pontllanfraith near Blackwood in Gwent. The Mill is a 17th century Water Mill and was home to the Moore family. What is the link between the Titanic and an old Welsh Water Mill? "CQD CQD SOS de MGY Position 41.44N 50.24W Require Immediate assistance Come at once We have struck an iceberg Sinking We are putting the women off in the boats"
"Come quickly as possible old man, our engine room is filling up to the boilers"
Artie raced to inform the locals and the constabulary of the dreadful news but they did not believe him. That was, until two days later when it was confirmed in the national press. This confirmed that Artie had received the transmissions. 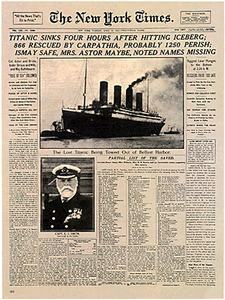 As Artie had said that the old CQD, was used alongside the new SOS, by the Titanic radio operators. The reception of these transmissions, by Artie is believed to be the only land-based reception in the UK and possibly in the World as they were relayed to Newfoundland by other ships. On hearing of Artie, Marconi met him and employed him within his company as a draughtsman. In 1932 Artie patented the "Echo meter" an early form of Sonar. We operated phone and cw from the Mill over the weekend using the call GB100GGM. The station and mill were open to all visitors in conjunction with the present mill owner Mr David Constable and Caerphilly County Borough Council. If you wish to visit the Mill the postcode is NP12 2HY. By road leave junction 28 M4 travel A467 to Newbridge then A472 towards Blackwood then follow brown tourist signs to candle workshop and mill.